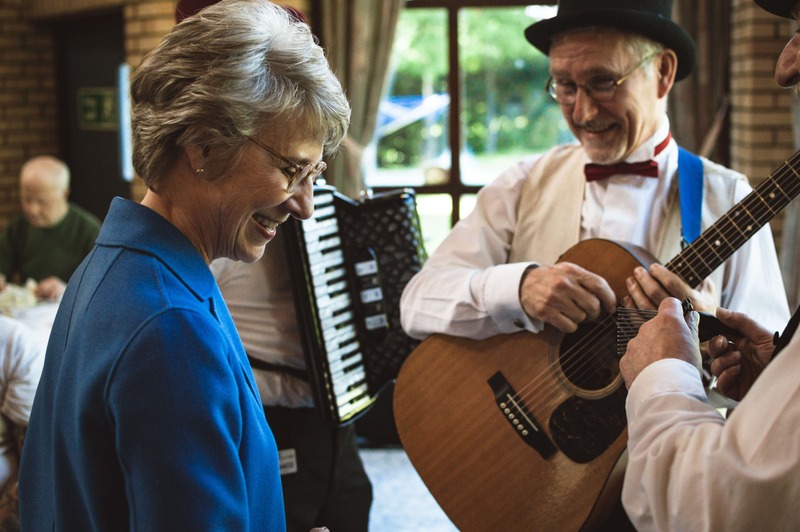 Arts and Health charity, Music in Hospitals & Care (MiHC), are celebrating 70 years of delivering the therapeutic benefit of live music in healthcare by welcoming the charity’s Royal Patron Her Royal Highness The Duchess of Gloucester to a live music concert at care home Sherwood House in Walton-on-Thames. 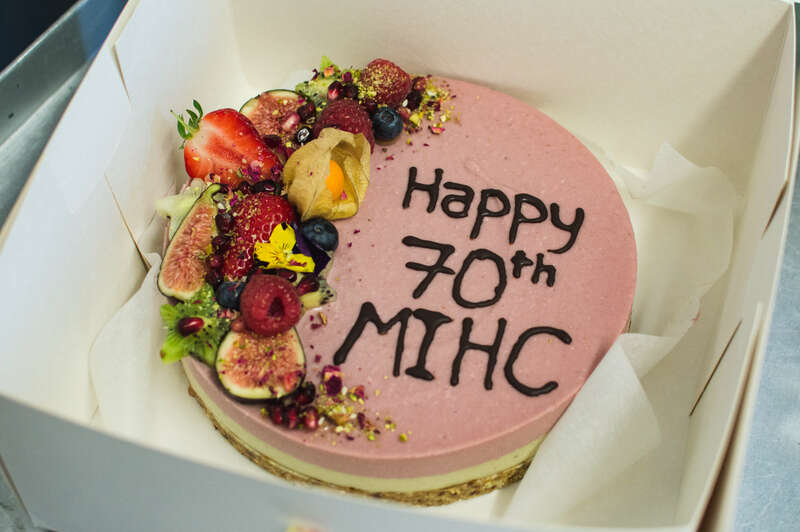 MiHC performances bring the joy of professionally performed live music to people in care homes, hospices, day centres, special schools and anywhere that provides services for the elderly, disabled or vulnerable. Sherwood House, part of Asprey Healthcare, is a long-time supporter of Music in Hospitals & Care, continuing the relationship forged by Walton Charity before them. They have been working alongside MiHC to deliver live music as part of their work in bringing outstanding dementia care to their residents. The residents and staff of both Sherwood House and MiHC were able to reminisce to jazz classics and music from 1920s to the 1940s, courtesy of MiHC musicians The Boneshaker. Afternoon tea was enjoyed and Her Royal Highness kindly cut the 70th anniversary cake before unveiling a commemorative plaque honouring her attendance at the event. Peter Fairlie, Chairman of Music in Hospitals & Care said: “We are delighted to welcome The Duchess of Gloucester to Sherwood House today and thank her very much for recognising and participating in our 70th anniversary with this special visit. We are very grateful to the excellent support we receive from our Royal Patron and the joy she clearly brings to people in care, with her visits to our concerts.